HONOLULU — Navy training and testing could inadvertently kill hundreds of whales and dolphins and injure thousands over the next five years, mostly as a result of detonating explosives underwater, according to two environmental impact statements released by the military Friday. The Navy said that the studies focused on waters off the East Coast, the Gulf of Mexico, Southern California and Hawaii from 2014 through 2019, the main areas that the service branch tests equipment and trains sailors. The studies were done ahead of the Navy applying to the National Marine Fisheries Service for permits for its activities. 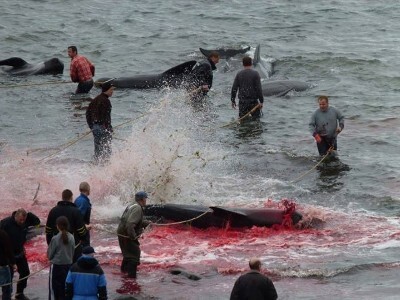 The Navy said that it if hadn’t done so and was later found to have harmed marine mammals, it would be found in violation of federal environmental law and have to stop its training and testing. 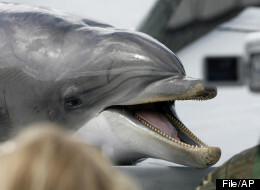 Most of the deaths would come from explosives, though some might come from testing sonar or animals being hit by ships. 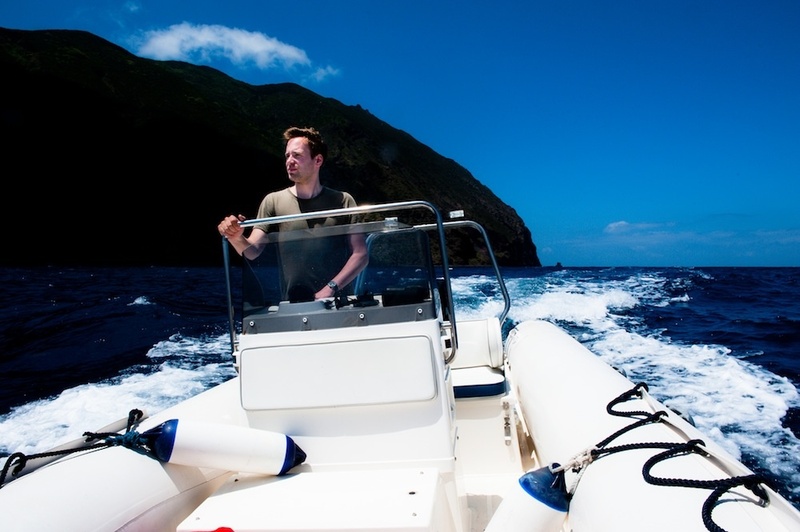 The Black Fish’s founder Wietse van der Werf. Photo by Chris Grodotzki. On a warm night in July 2012, off the island of Ugljan in the Croatian Adriatic, two activists slipped into the water near a line of huge fish farms. Security boats patrolled the perimeter of the vast circular nets, as guards stationed on a nearby hill kept watch through the night. And for good reason: the thousands of bluefin tuna in the farms, destined for the tables of Japanese sushi restaurants, are worth millions. Individual fish routinely sell for more than $1,500 at wholesale markets in Tokyo and closer to home. The Croatian tuna had been caught as juveniles under a loophole in international law, and were being “fattened up” before heading to market. Wearing tactical diving gear, the divers arrived at the first net, slicing three-quarters of its length and sending bluefin streaming out. The divers swam to another net, repeating the process, and then headed home. The security teams circling above were none the wiser until the following day. The activists, from a group known as the Black Fish, were long gone. The raid was similar to a previous attack in September 2010, when Black Fish divers freed dolphins from holding pens near Taiji, Japan. 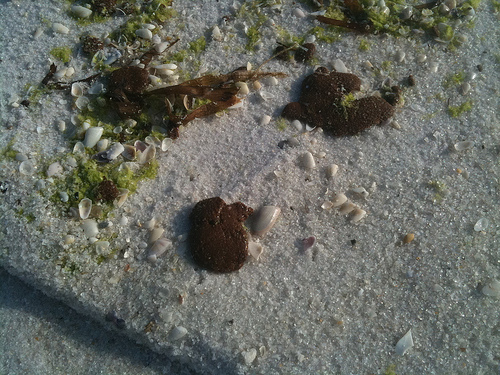 Tarballs on the sand near Opel Beach, FL. Image by Brian Hart, Flickr.com. Dr. Cova Arias, professor of Aquatic Microbiology at Auburn University, and two of her lab members had rather disturbing results published in the journal EcoHealth last December, 2011, on their discovery of high concentrations of Vibrio vulniﬁcus, also known as a type of flesh-eating bacteria, in tarballs. What is surprising is that Arias’ findings haven’t received more attention from public health officials, given the implications of the research. Findings involving V. vulnificus should be a concern for public health authorities in coastal areas, given that in addition to causing severe wound infections, this bacteria is the leading cause of seafood-borne fatalities nationwide. 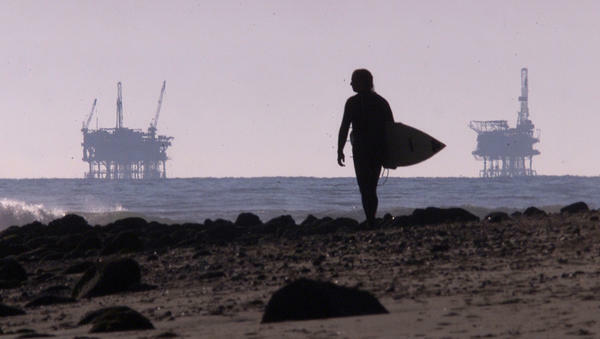 The 2010 BP Oil Spill is considered the largest accidental marine oil spill in the history of the petroleum industry. It spilled approximately 210,000,000 US gallons of oil into the Gulf of Mexico, and the initial explosion, caused by faulty cementing around the injection well, killed 11 workers. 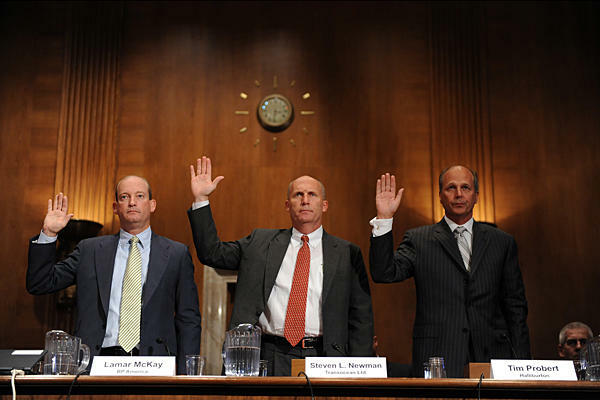 During an internal probe into this cementing after the blowout, Halliburton ordered workers to destroy computer simulations relating to safety measures. The U.S. Department of Justice announced Thursday that Halliburton has agreed to plead guilty to the destruction of this evidence. This charge—knowingly destroying evidence during a government investigation in an attempt to cover up the cause of 11 human deaths and one of the largest disasters in the country’s history—is considered a “misdemeanor” charge. Halliburton is required to pay a $200,000 fine. You may think this is a joke but it isn’t. 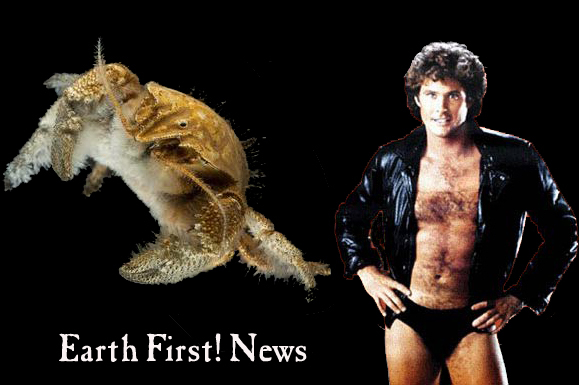 The hairy-chested Yeti crab, nicknamed the “Hoff” by deep-sea scientists for its resemblance to the luscious body hair of David Hasselhoff, could very well fall into the oblivion of extinction due to warming oceans caused by climate change. The Hoff was first discovered in 2009 hanging out around hydrothermal vents deep beneath the Indian and Arctic oceans where water temperatures can reach 716 degrees Fahrenheit. The vents spew noxious and acidic chemicals, heavy metals and hydrogen sulfide. One might think the Hoff could then survival a dozen degrees of temperature change but, according to a recent report published in the Proceedings of the Royal Society B, as the ocean warms, the ability of oxygen-rich surface water to mix with deep ocean waters is diminished, reducing the oxygen levels in the deep sea, which will likely result in mass extinctions for many of the creatures that live within the precarious ecology of deep sea vents.